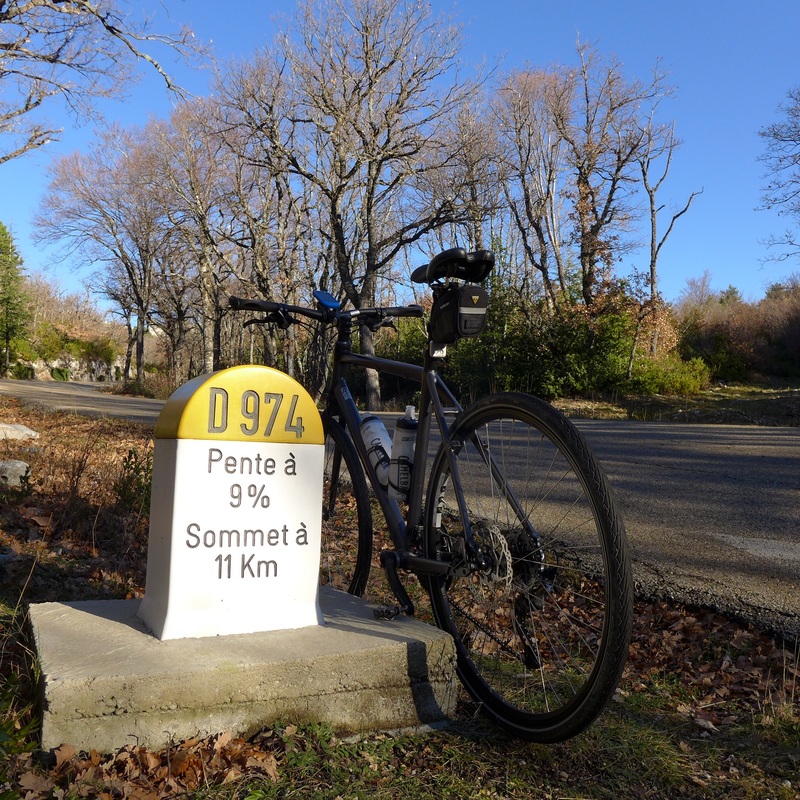 December without snow, mild temperatures and a fantastic weather forecast for at least a few days ahead…it didn’t take me long to decide to book a B&B in Bedoin, pack my cycling gear and drive down to the South of France, more precisely to the hamlet of Sainte-Colombe, about 3 km east of Bedoin on the South flank of Mont Ventoux – the bald mountain. 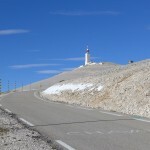 Upon arrival in Bedoin center I first had lunch on a sunny terrace and then drove to Sainte-Colombe to checkin at Lou Cardalines, a fantastic bed & breakfast next to the the south road climbing Mont Ventoux from Bedoin. 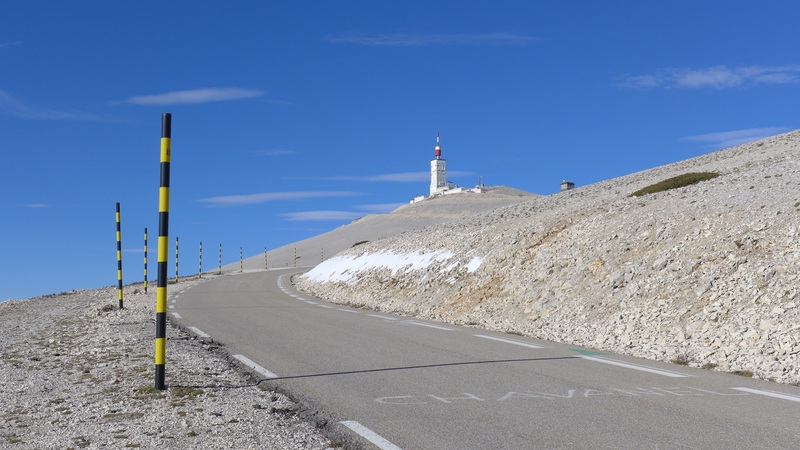 Amongst the three paved ways up to the top this road constitutes the classic route. 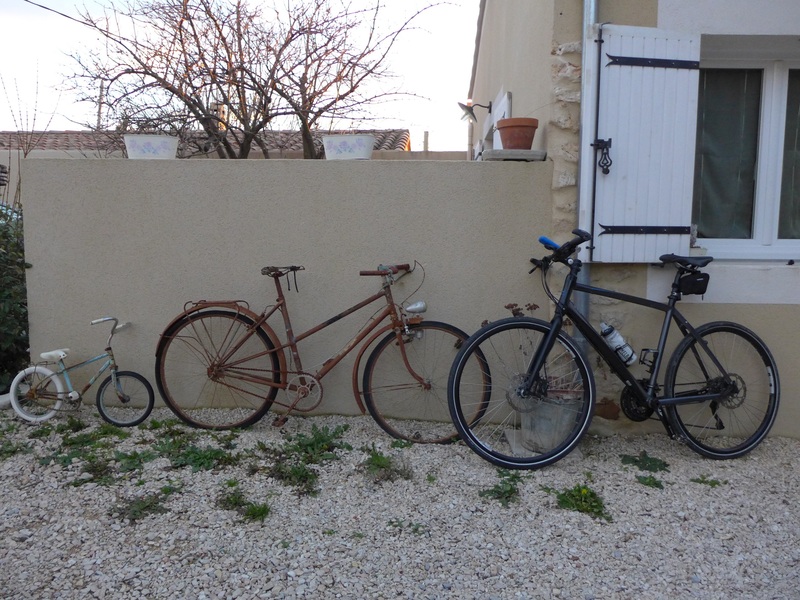 The owners of the B&B have recently opened it and there is various room options to choose, including a “gite” for a whole family with two bedrooms. 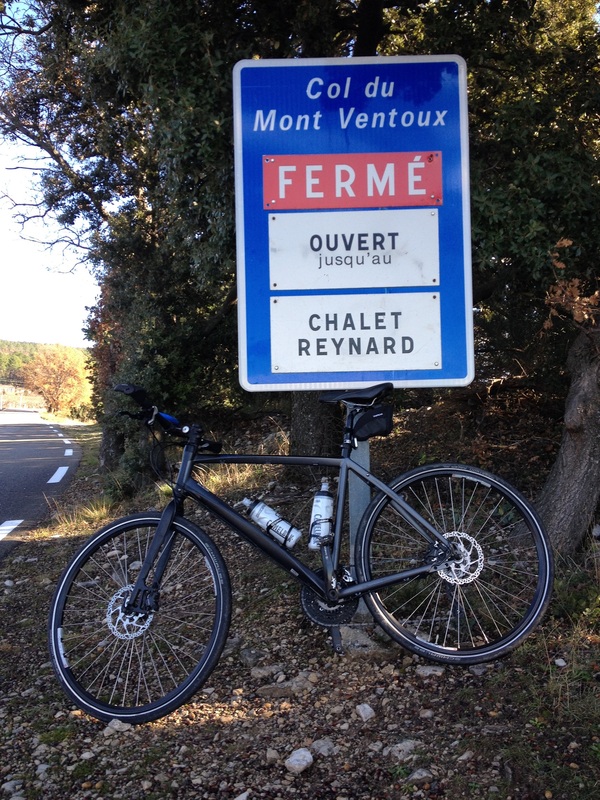 It was 3 pm when I sat on the saddle of my hybrid climbing towards Chalet Reynard, the restaurant which is at the junction of the two roads from Bedoin and Sault. 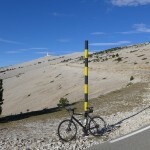 There was hardly any traffic, however I was surprised to see quite a few cyclists, all descending though. 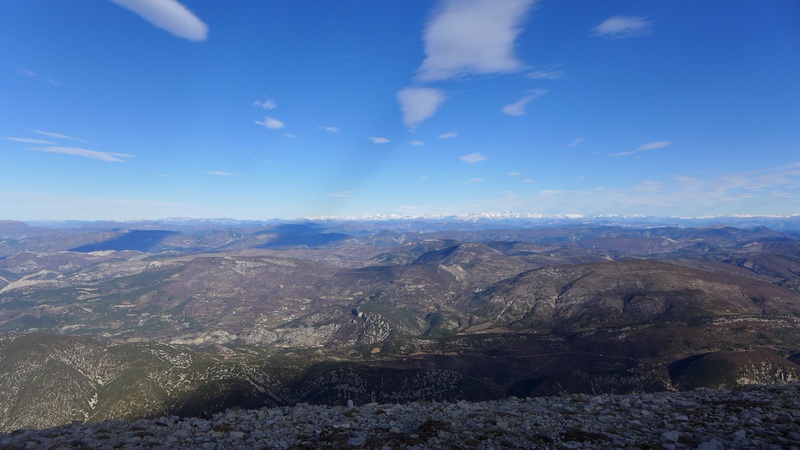 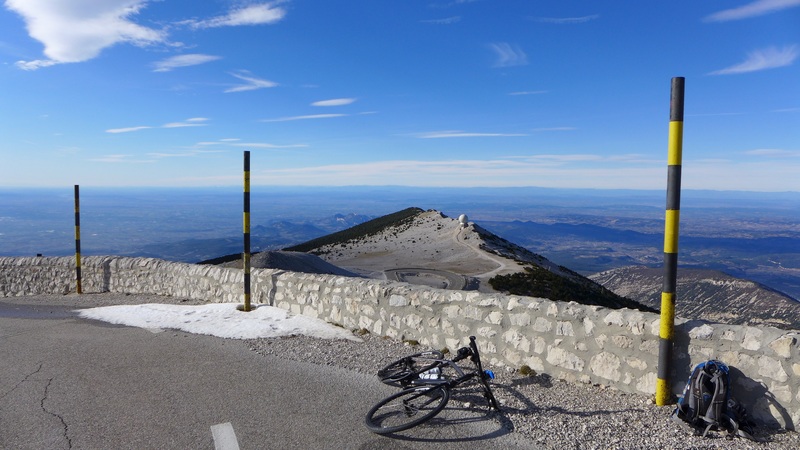 At Saint Esteve the road changes slope drastically and from that point the hard work starts…I dressed for cool temperatures and tried my long cycling pants for the first time this year – I was glad I took them with me. 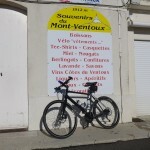 The Mistral wind was blowing hard and I had to keep both hands at the handlebar not to risk getting blown off the bike. After about 1h45 I arrived at the chalet, took a few photos and turned back to reach the base camp before sunset. 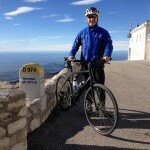 My legs hurt a bit as I haven’t been out on the bike for 6 weeks! 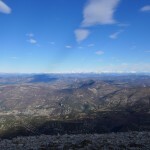 The summit was still covered in clouds but the weather forecast for the next day was excellent, so I was confident to find good conditions for the climb to the top the next day. 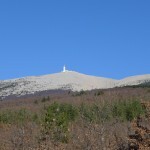 When I woke up on Friday morning the weather was as expected – no clouds, quite mild tenmperatures (8 degrees at 8 am) and I had recovered well after the first contact with this mythical mountain. 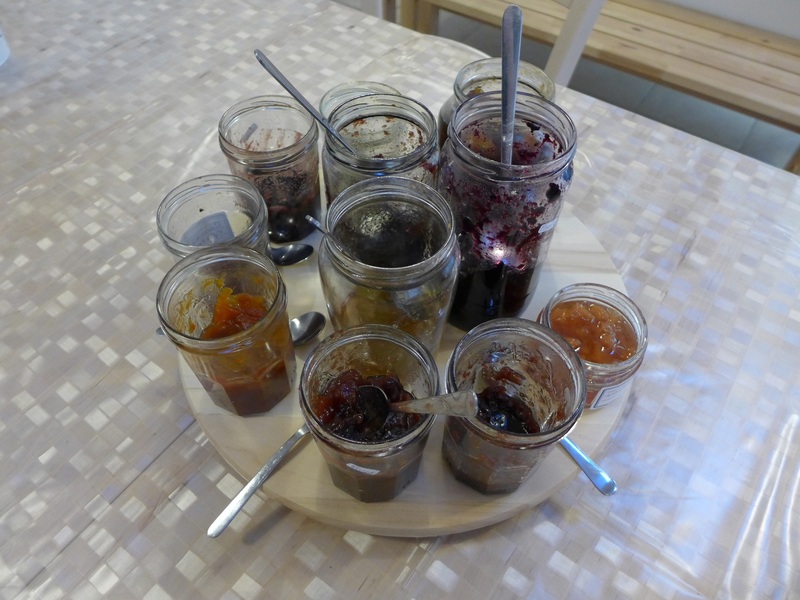 The breakfast was excellent and I tasted at least 4 different homemade jams. 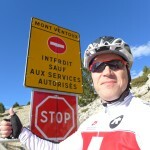 At 9:30 I was on the road and ready to tackle the 18km climb. 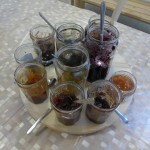 homemade jam – yummy ! 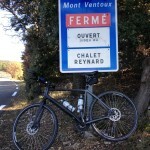 I felt much better than the day before and advanced on a good pace. 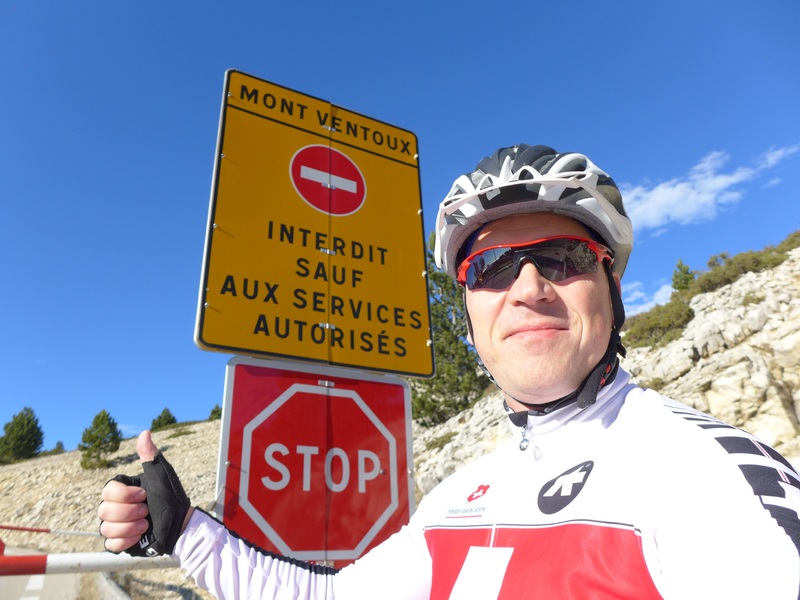 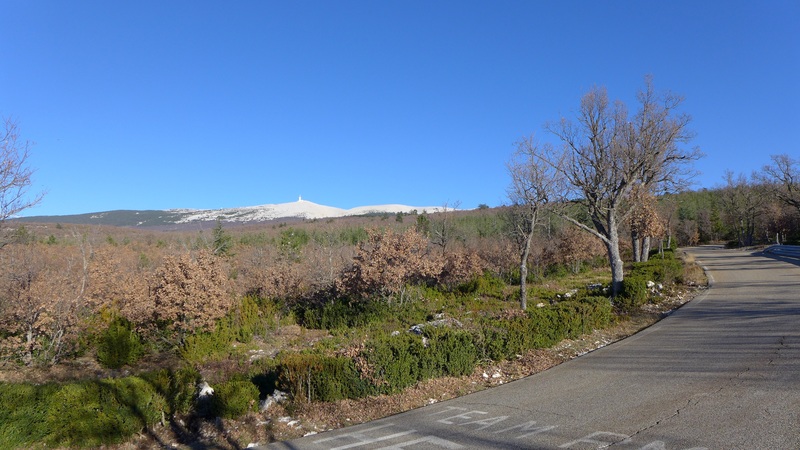 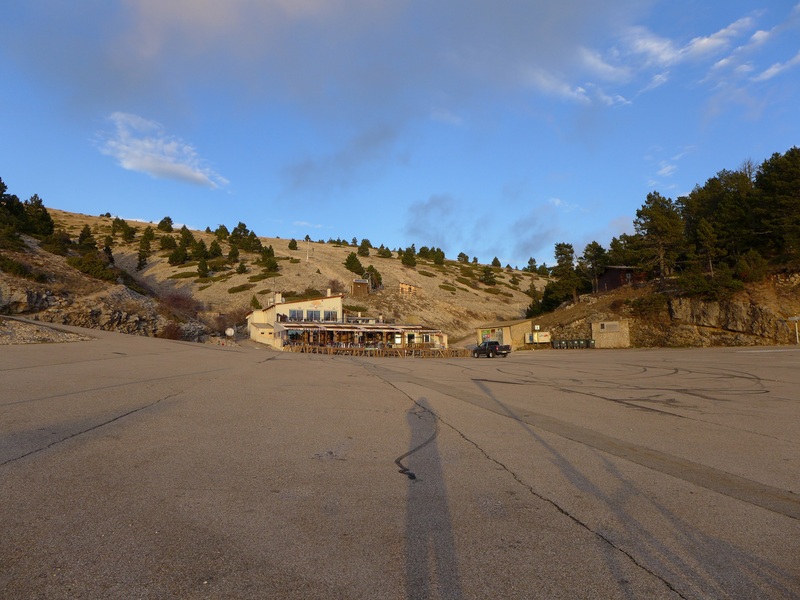 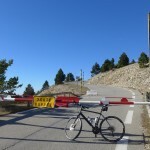 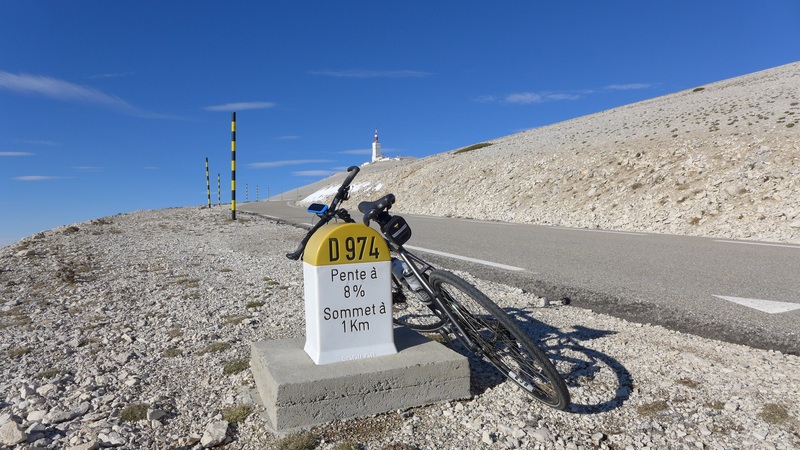 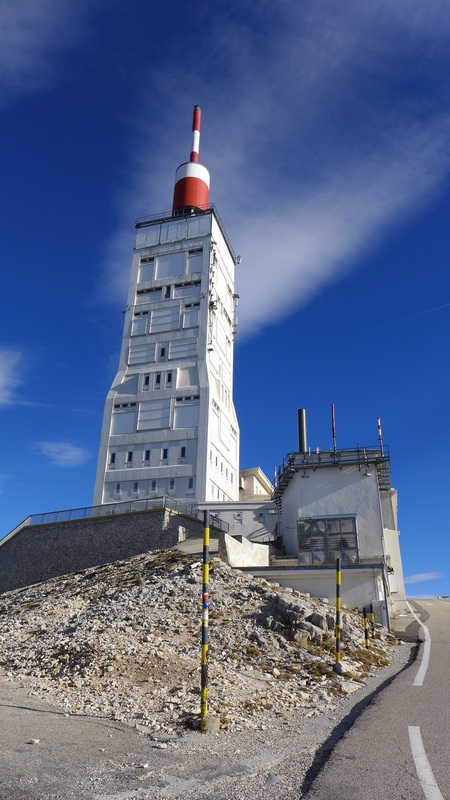 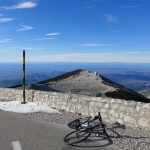 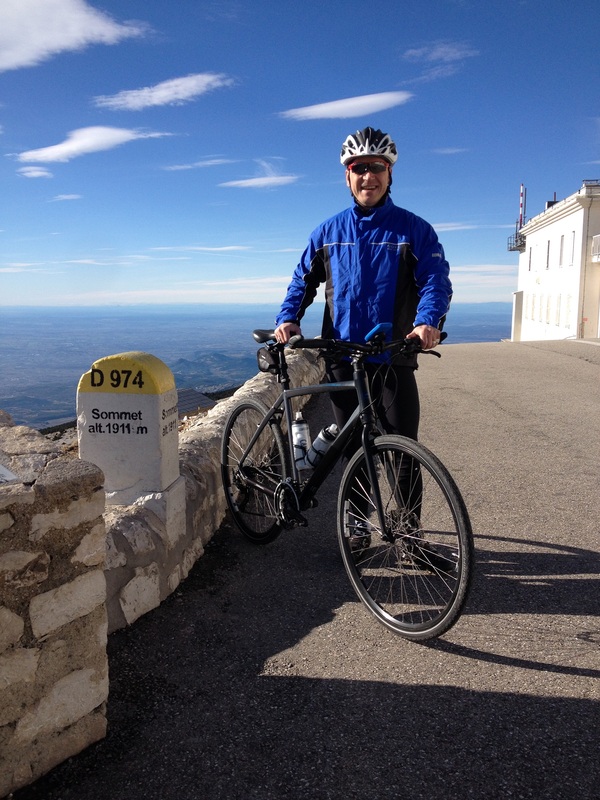 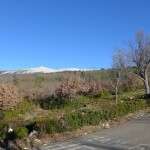 Mont Ventoux for bikes only ! 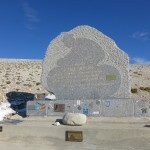 At Chalet Reynard, the highest point I had reached the day before already, I stopped for a (very expensive) coffee and an energy bar before continuing on the last 6 km to the summit. 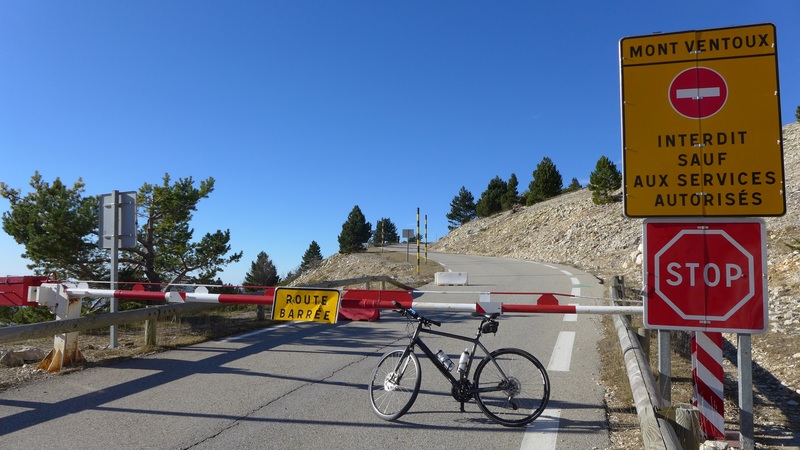 Between the 15th November and the 15th May the road is closed for motorised traffic. 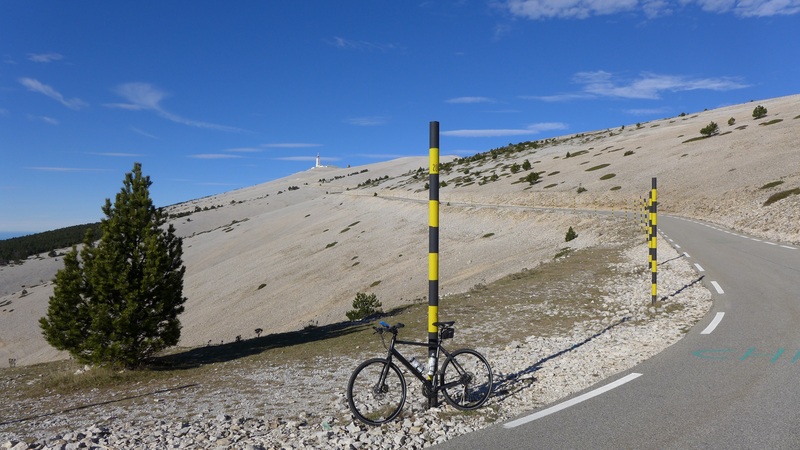 Apart from a single hiker with her dog I didn’t meet anybody else on this last stretch – what a privilege on one of the most famous cycling mountains in Europe ! 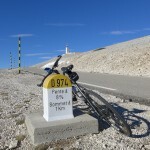 During the summer months houndreds of cyclists per day flock to this mountain from all corners of the World. 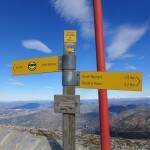 the road for me only ! 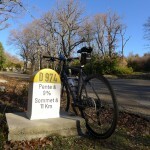 The wind was less gusty than the day before and the sunshine slowly warmed up my body. 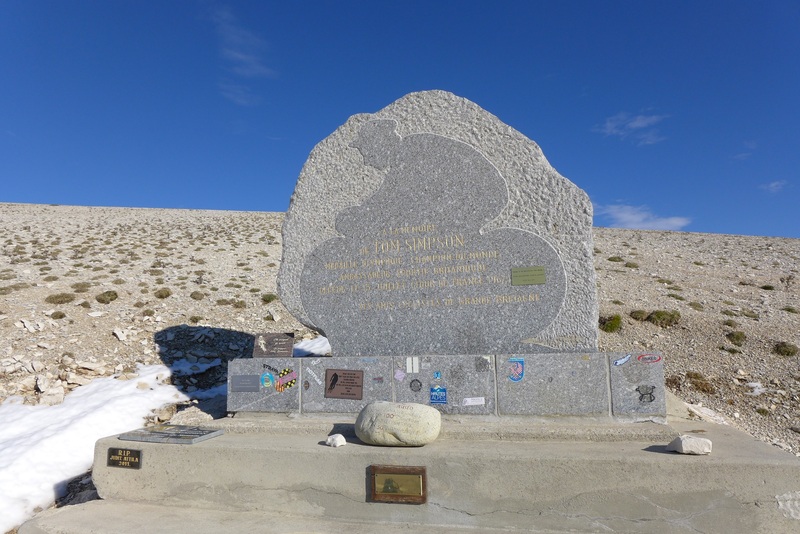 Around the Simpson memorial last patches of snow appeared but the road was completely cleared. 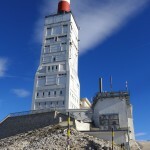 I was told that during the times of the cold war, there was a military presence on the top, at the observation point and the authorities were asked to keep the road open year round. 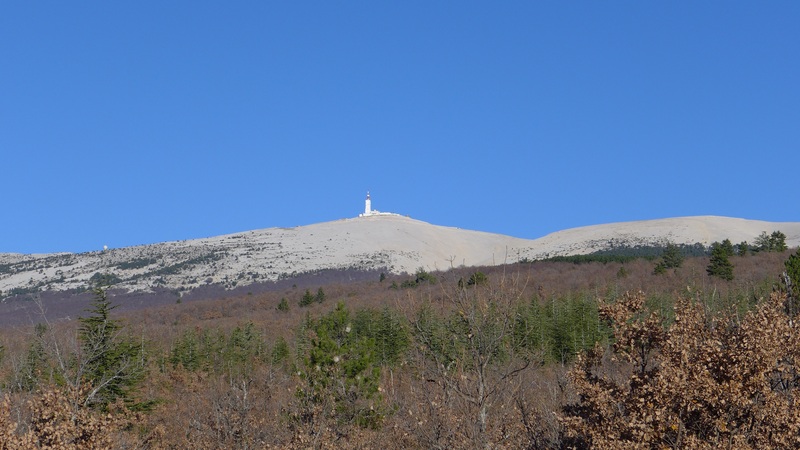 Not far from Mont Ventoux close to the town of Sault, French nuclear intercontinental missiles were burried underground and ready to be deployed towards the East. 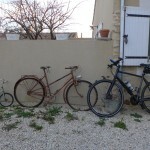 Luckily they have been dismantled. 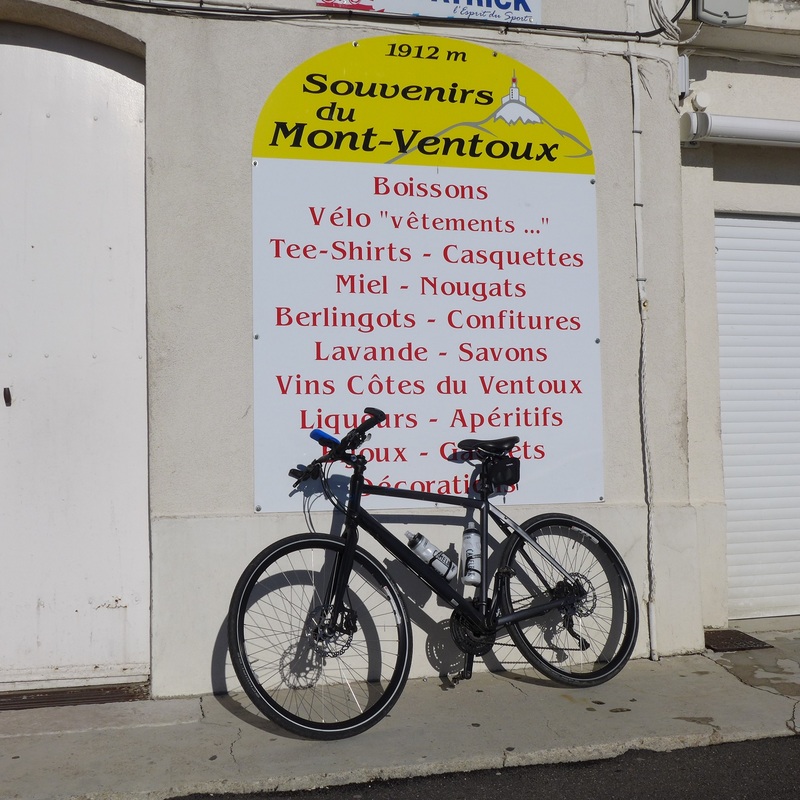 After a bit of relaxing in the sun and a short stop at Col des Tempetes I quickly descended back down and got ready for the return drive. 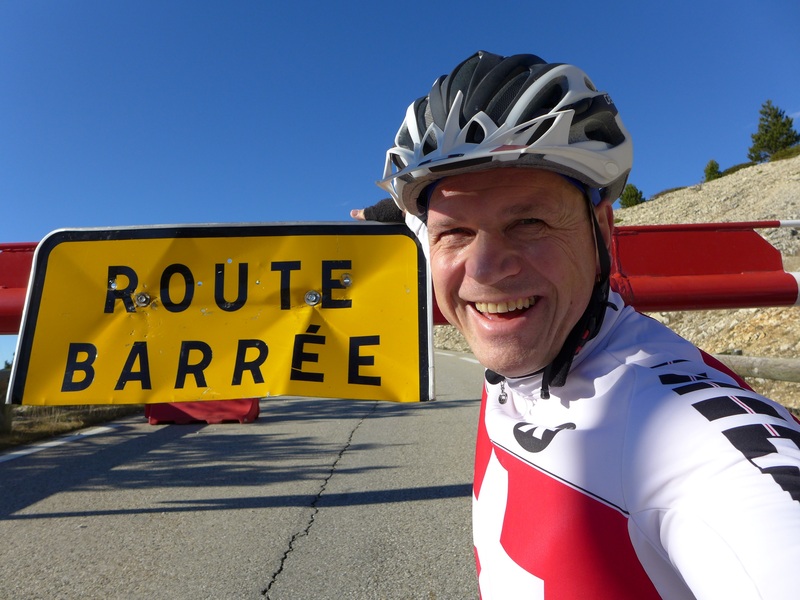 Merry Christmas and a Happy new (cycling) year !